Dr. Rothbart is board certified in internal medicine. 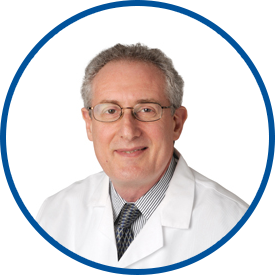 He trained at Montefiore Medical Center in the primary care internal medicine program. He is a graduate of Albert Einstein College of Medicine. Dr. Rothbart is a member of American College of Physicians. Dr. Rothbart joined WESTMED Medical Group in 1996. His hospital affiliations are with White Plains Hospital Center and Greenwich Hospital. Dr. Rothbart always is very efficient and thorough in the exams and makes sure I understand anything we discuss. Dr. Rothbart and his assistant were exceptional in scheduling an urgent appointment to ensure that I got the immediate attention I needed - and prescribing medications as it would have not been possible otherwise, especially during holiday time. Dr Rothbart has been my primary care provider for many years. He is professional, thorough and thoughtful in his care and I am happy to have him as my primary care doctor. I always have an excellent experience with Dr. Rothbart, and I only hope he doesn't retire any time soon, because I will be grateful to have him as my primary care doctor as long as possible. Cannot say enough about how patient & *Gary *Dr. Rothbart is. He was wonderful to my deceased husband during his illness. I have been with *Dr. Rothbart for many years and found to be one of the best diagnostician I have ever met. I would recommend him to everyone. Care provider was extremely knowledgeable. I really like my doctor. Very pleasant, and always carefully listens to any of my concerns.